This tournament is open to players with two game slots available at all times. 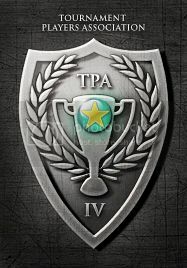 This tournament is inspired by the TO; Capture The Flag series. The world soon descended into pure chaos, and what was dubbed "World War X" ensued as the warriors swiftly eliminated all humans who stood in their path - till only they remained. After years of endless battling across the globe with no decisive victories, the 5 factions finally agreed to settle the score through a mode of battle that was introduced in more recent times - Capture The Flag. There are 5 factions with 8 players each. Each player must choose to represent one of the following factions - each with their own assigned home maps - during sign ups. The tournament is split into 2 phases. Each player will play a total of 16 matchups - 4 against each of the other 4 warrior factions. Each matchup will begin on the neutral battleground of no man's land on the Classic map. The player who wins the neutral matchup infiltrates the opponent's home map and attempts to capture the flag, while the opponent defends it. If the player wins on the opponent's map, he scores a flag capture point for his team. A General Achievement Medal will be awarded to the player with the most Flag Captures in Phase I. After all matchups are complete, the faction with the highest number of flag captures moves on to Phase II. With your faction now victorious, you now have to declare your faction's dominance by raising your flag. Each round, players within the faction will be randomly placed in matchups against each other on your team's home map. Winning the matchup earns the player 1 flag raising point. The first player to reach a total of 10 flag raising points manages to raise his faction's flag, and wins the tournament. Map: Classic; as well as home maps listed under [Factions] spoiler. Total Flag Capture difference (for - against). Total number of Capture Attempts (successful + unsuccessful). Total number of Flag Captures in Phase I. Total number of Capture Attempts (successful + unsuccessful) in Phase I. If both of the above are equal, a tiebreaker game will be played on their home base map. If both of the above are equal, a tiebreaker game will be played. Factions have limited spaces and are given on a first-come-first-serve basis. Players that do not indicate their desired faction, OR that choose a filled faction, will be guaranteed their spot in the tournament, but will only be assigned their factions at the end of signups, based on which factions are available. You will not be able to change your faction once the tournament starts, so be sure of your choice! 1. I reserve the right to change aspects of the game if anything needs changing, to ensure fairness to all players or for the benefit of the tournament. 2. If you wish to withdraw from the tournament at any time, please inform me via personal message or post on this thread. 3. If you do not join the game within 48 hours, you will be replaced. 4. If you are know you are not going to be around for a duration of time, please inform me. If the period of time is short enough, I will delay all of your games. 5. For any questions, problems etc. you may voice it out in this thread or you can PM me. Last edited by anamainiacks on Mon Dec 29, 2014 6:28 pm, edited 22 times in total. Last edited by anamainiacks on Wed Apr 30, 2014 12:33 pm, edited 17 times in total.